Treat yourself to this bellini-style cocktail bursting with juicy peach flavors, created by Real Housewife of Atlanta Cynthia Bailey! Available as 4-pack or 24-pack bottles, and 23.5oz or 16oz single cans. 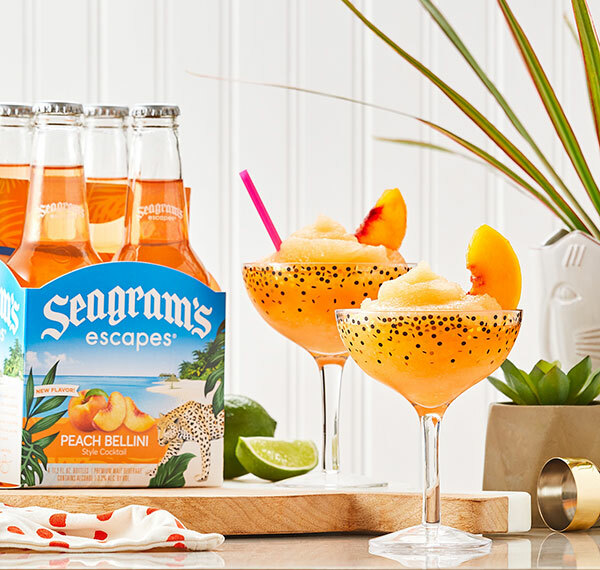 Share Seagram's Escapes Peach Bellini with your Friends! © 2019 The Seagram Beverage Company, Rochester NY | Please enjoy our flavored malt beverages responsibly. © 2018 The Seagram Beverage Company, Rochester NY. Please enjoy our flavored malt beverages responsibly.